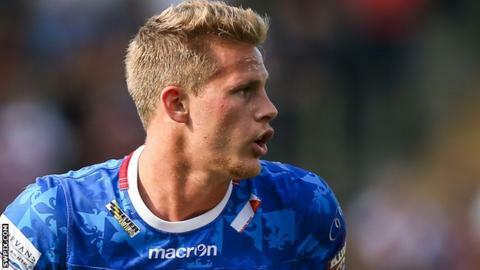 Australian utility back Jacob Miller has signed a new two-year deal with Wakefield Trinity Wildcats. The 23-year-old joined the Belle Vue club from Hull FC in 2014 on an initial one-year contract and has scored 15 tries in the 26 appearances. His versatility has been useful to the club this season, having operated in the halves plus lock and full-back. "I could not be happier that I am staying at Wakefield," Miller told the club website. "It has been a pretty tough season for us, but our goal of remaining in the Super League is still alive." Miller and his team-mates are currently involved in the Qualifiers portion of the Super 8s and lie fourth with two wins from five games.